35% Off Your Entire Regular Purchase at Beauty Brands with Code EC15720. Customer Appreciation Event. Shop Now! Customer Appreciation Event. 35% Off Your Entire Regular Purchase at Beauty Brands with Code EC15720. Shop Now! 25% Off Fragrance at Beauty Brands. Up to $45 Off. Shop Now! 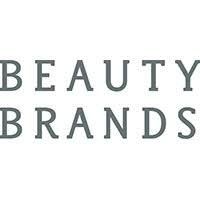 Up to $45 Off Fragrances at Beauty Brand. Shop Now! $13.99 Bath and Body Sale at Beauty Brands. Up to 50% Off! Shop Now! Up to 50% Off Hempz Bath and Body Sale at Beauty Brands! Shop Now! $9.99 9 Piece Discovery Bag With Our Tried and True Haircare Favorites at Beauty Brands. Shop Now! 9 Piece Discovery Bag For Only $9.99 at Beauty Brands. Valued at: Over $55.00. Shop Now! $9.99 Discovery Bag - Valued at $55 For a Limited Time at Beauty Brands. Shop Now! 20% Off Your Entire Order with Code EC15740 at Beauty Brands. Shop Now! 20% Off Your Entire Purchase. Limited Time Offer at Beauty Brands. Shop Now!